A snazzy exterior refresh conceals major upgrades within. 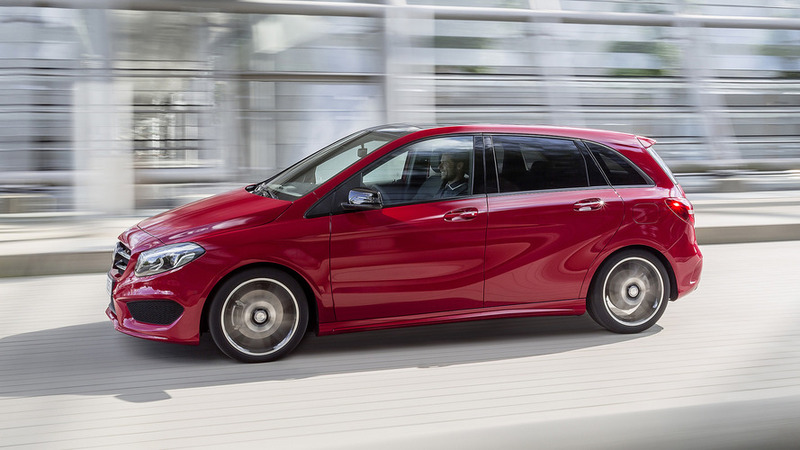 Welcome to the new Mercedes-Benz B-Class. The don’t-call-it-a-minivan compact crossover wears a familiar shape for 2019, but it’s all-new inside and out with fresh sheet metal, new powertrain options, and a vastly updated greenhouse with plenty of tech – not the least of which is semi-autonomous driving capability thanks to a bevy of updated sensors and systems borrowed from the S-Class. Before diving into all that technology, let’s take a look at the first thing everyone will see. 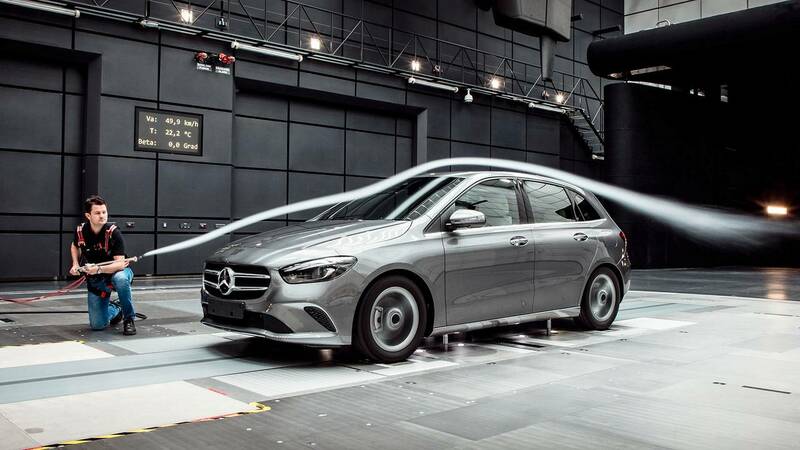 Spy photos already tipped us off to the styling makeover Mercedes engineers performed on the previous-generation B-Class, and we're happy to say those odd proportions are a thing of the past. 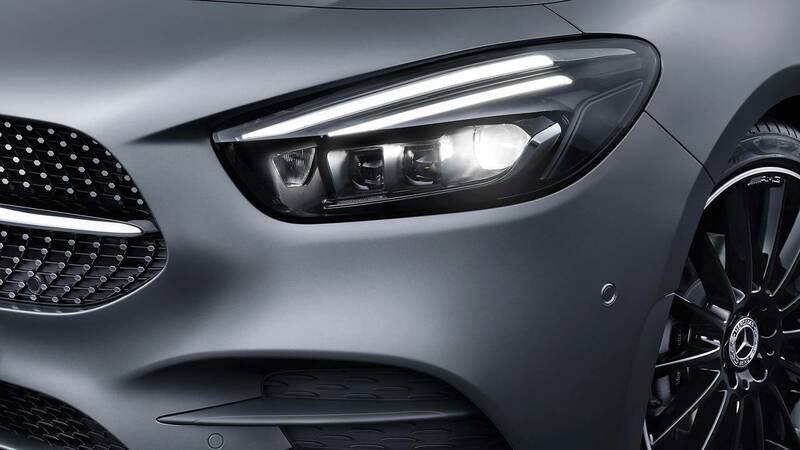 The overhang up front is much shorter, with multi-bean headlamps from the A-Class illuminating the way. The odd sculpting on the sides is gone, as are the cartoonishly large taillights. 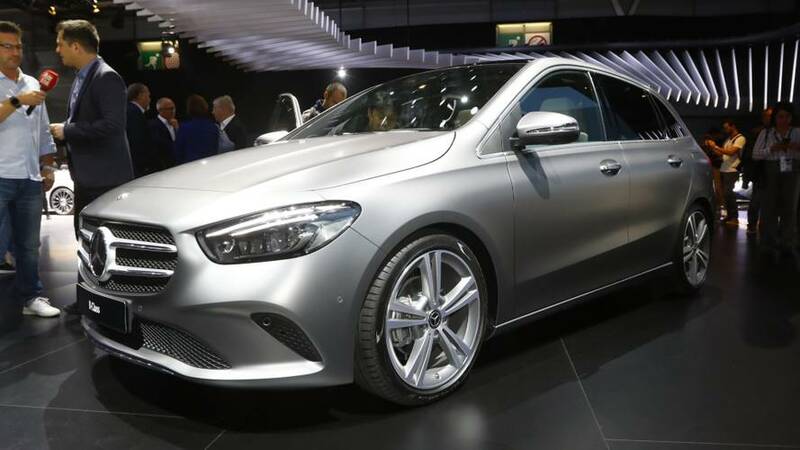 In fact, there is a considerable similarity to the entry-level Mercedes model all around – as we knew there would be – and the result is a new B-Class that’s rather handsome indeed. Inside is where the real wow factor comes into play, as the B-Class goes digital. There are three options to choose from, with entry-level models getting a pair of seven-inch displays. A seven-incher with the larger 10.25-inch display is available, with top-tier models getting a pair of the large displays. The MBUX infotainment system from the A-Class is now in full effect, giving B-Class buyers access to its array of functions through a standard touchscreen. 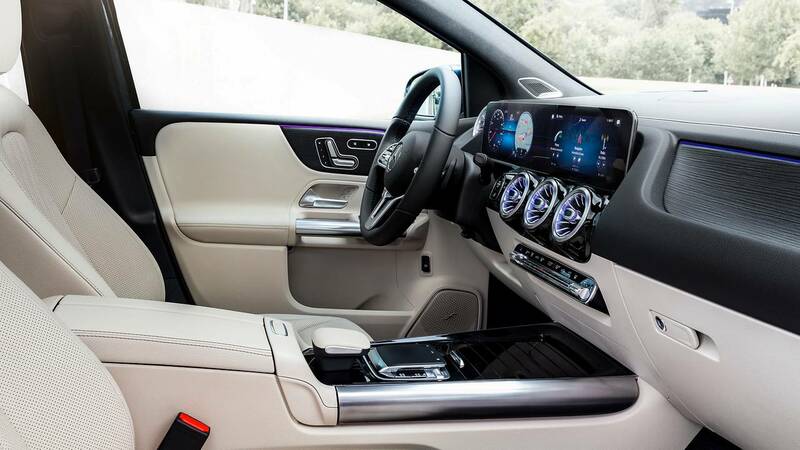 Features such as intelligent voice control, Augmented Reality, and a head-up display are optional, as are other items normally found in higher-spec models such as energizing seat kinetics for front seat passengers. Fewer Mercedes models on the way? When it comes to space, this is where we’re a bit surprised. Design changes make ingress/egress a bit easier, especially for folks stuck in the middle rear seat. The changes also allow more efficient use of space, but Mercedes admits cargo capacity is “roughly the same” as the current model. 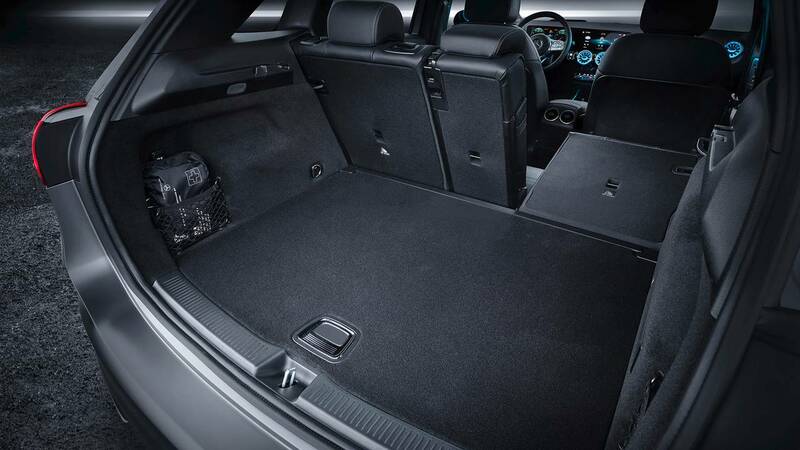 We were expecting the B-Class to gain some space, but with the rear seats folded, cargo capacity is actually down ever-so-slightly, from 1,545 liters (54.6 cubic feet) to 1,540 liters (54.4 cubic feet). What the B-Class lacks in new space, it makes up for in spades when it comes to technology. 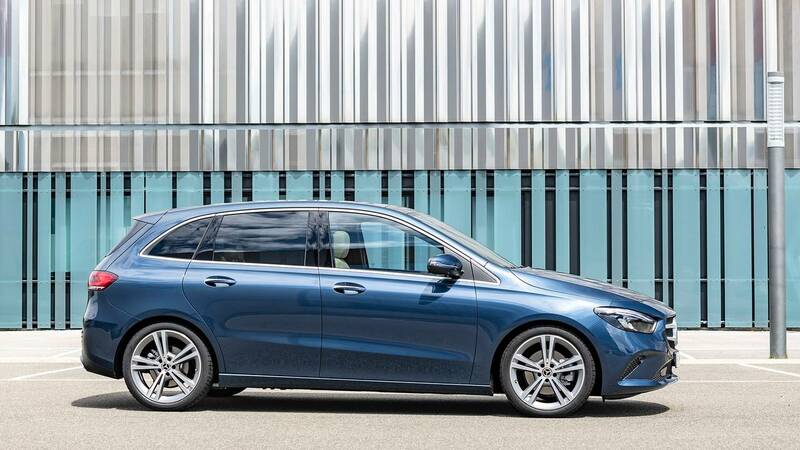 Aside from the aforementioned MBUX upgrade, the compact people carrier also gets Intelligent Drive from the S-Class, with semi-autonomous capability in certain circumstances for the first time in the model’s history. It’s also graced with a suite of safety systems, not the least of which are active braking and lane-keep assist, among others. Some familiar powertrain configurations make the transition to the new B-Class, but there are some new options as well. A 2.0-liter diesel available in either 110-kilowatt (148-horsepower) or 140 kW (188 hp) format is among them, as is the fresh eight-speed dual-clutch transmission. Other power options include the 1.5-liter diesel from the A-class, and a pair of 1.3-liter four-cylinder gas engines making either 100 kW (134 hp) or 120 kW (160 hp). 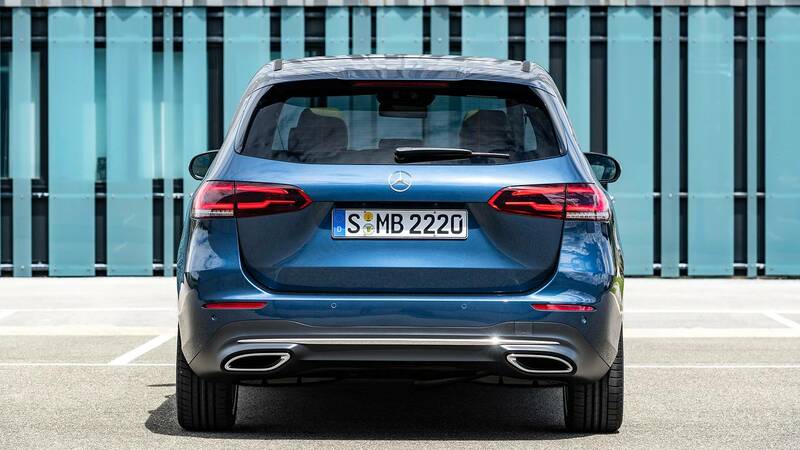 The seven-speed transmission is also available, and Mercedes says additional engine options – as well as all-wheel drive – will be offered further down the road. As good as the new B-Class seems to be, Mercedes-Benz has no plans to bring it to U.S. shores where SUVs rule the day. due to begin in February 2019.
with functions that were previously the reserve of the luxury class." blends seamlessly into the design language of Sensual Purity." controlled adjustment of the headlamps to suit the current traffic conditions. improved aerodynamics while ensuring a sporty appearance. well as the ability to engage in a relaxed conversation. obscure less of the surroundings. displays. A head-up display is optionally available. in this segment, allows individual adjustments, even to suit the mood. mm), the front elbow width now has the dimensions of a mid-range vehicle. 2019) makes for an even longer loading length. movement in combination with optional HANDS-FREE ACCESS. vehicle being bumped or towed away. content to be made available in MBUX. is simple and secure using the Mercedes me Car Sharing app. that have just left a parking space or driven past potential parking spaces. understandable Active Lane Change Assist. pedestrians or cyclists – or prevent them altogether. the highly stable passenger cell. kW and 140 kW, aluminium crankcase and stepped-bowl combustion process. from the A-Class with 1.5-litre displacement, up to 85 kW and up to 260 Nm. cylinder head and particle filter. standard, while a 51-litre tank is optionally available, depending on the engine. coated using the further-improved NANOSLIDE® process. 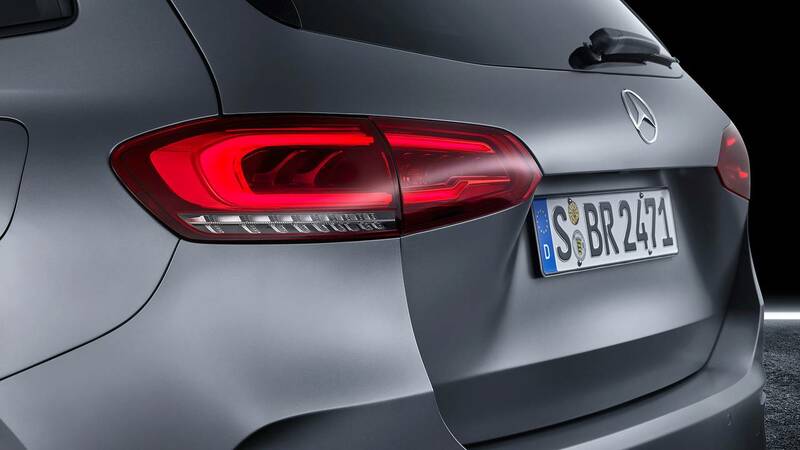 Emissions) standard coming into force from 2020, and is certified to Euro 6d. conditions, the B-Class remains within all the emissions limits. particularly occur during fast temperature changes in the exhaust tract, e.g. when moving from city traffic to the motorway. development brief handed to the suspension specialists for the new B-Class. damping rate individually for each wheel. interests of road-holding and comfort.